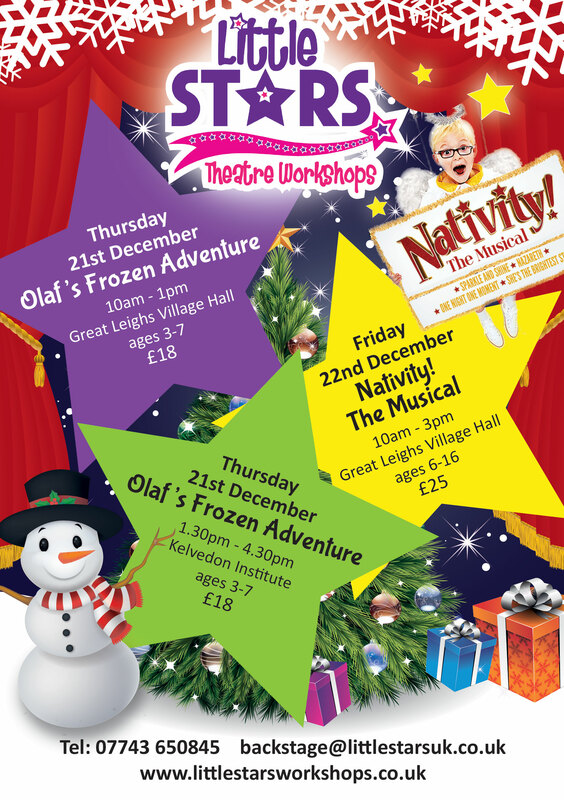 We are so excited about our Christmas workshops on Thursday 21st Decmeber and Friday 22nd December...'Olaf's Frozen Adventure' for 3-7 year olds and 'Nativity! The Musical' for 6+! Book your space today to join in the fun! Wow what a Spooktacular week of Halloween workshops! This week we welcomed both new and old workshoppers to 5 themed days throughout the week. Our Not So Scary Halloween Balls saw the children find the magic of Halloween after completing many preforming challenges…phew it was nail biting at times, thought Halloween would be gone forever! We were WICKED though and through at our Descendants 2 workshop, where we chilled like villains and became pure evil. My little monsters on Thursday were more cute than scary jumping out at the audience in the cutest Monsters Inc. workshop and finally the Thriller team finished off the week with an almost 6-minute Thriller dance-which wowed everyone! The week was roar-some and all of the students that took part brought fun, talent, friendship and more importantly fear to Little Stars Halloween! Well done to all my spooky stars!! I am so sad that my workshop week is over but cannot wait for the next ones at Christmas! 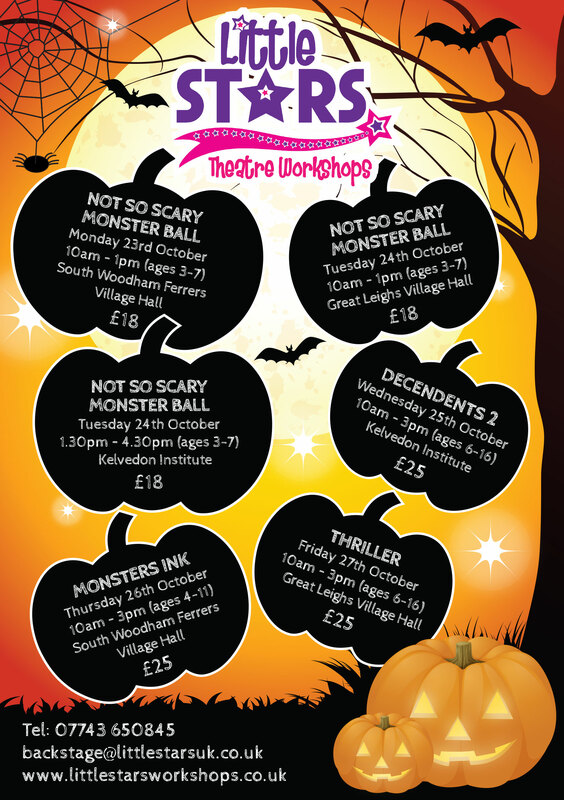 Come and join us at Little Stars this October half term for some Halloween fun, we have some Not So Scary Monster Ball's for the younger age group and three exciting themed workshops for children 6-16, where we will learn songs, dances and scenes and put on a show in 1 day for parents and friends to enjoy. Check out the themes above! 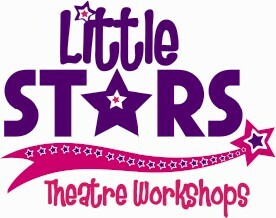 We have had a fabulous summer at Little Stars. 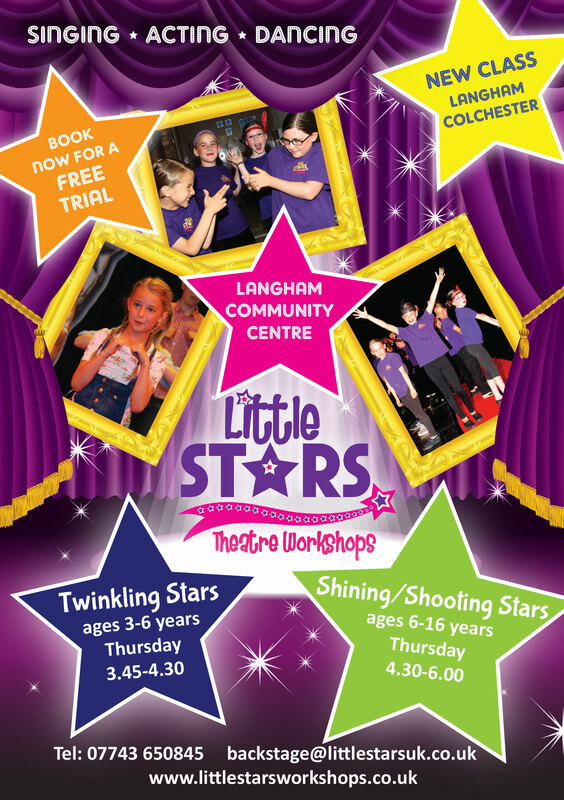 This summer we had 9 workshops running in the school holidays, for different ages 3-7, 4-11 and 6-16, we welcomed over 200 children through the Little Stars doors and we worked super hard and hard a super amount of fun putting on 9 spectacular shows! Thank you to all who were involved in Little Stars summer, thanks you for bringing lots of fun and making the summer so special, it was a summer to remember. Charlie got married at the weekend and is now Mrs Day. 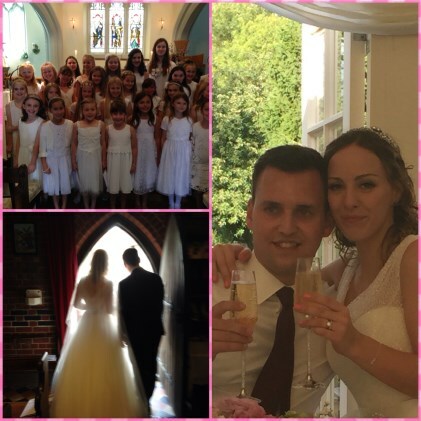 Some of students were part of Little Stars choir who performed at her wedding and were AMAZING! 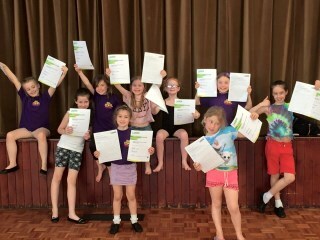 Well Done to all our LAMDA students. The results were fantastic with everyone gaining a merit or a distinction. We are so excited about our Halloween Workshops! 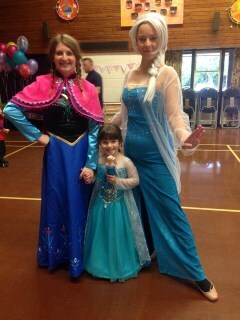 Elsa and Anna will be making an appearance at our 'Not So Scary Halloween Party' check out our Holiday Workshop page for more info. Have you booked your child in for our Spooktacular Halloween Workshops yet???? We are now taking bookings...book early to avoid disappointment. 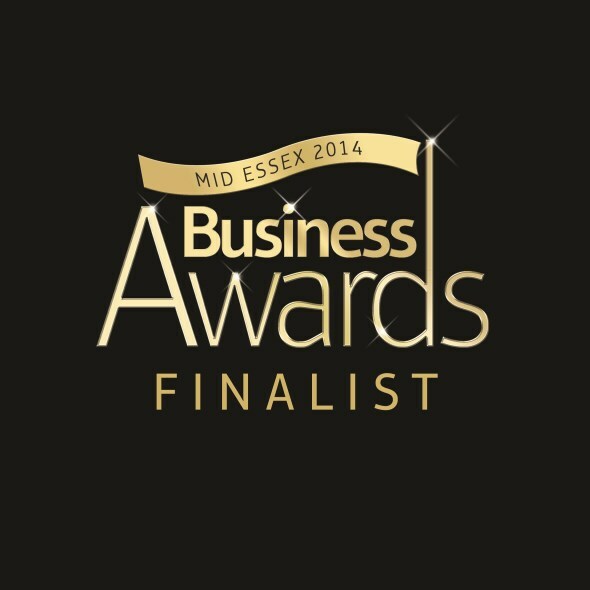 We are delighted to announce that Charlie has been named as a finalist for the Mid Essex business awards. She is finalist in the Young entrepreneur of the Year catergory and the Small Business Category. We are SO excited to announce that Little Stars is opening in St Albans. The class will launch on Tuesday 16th September at Colney Heath Village Hall. We are opening a new class for ages 3 - 5 at Great Leighs. The class runs from 3.30 - 4.00pm every Friday! We are excited to announce that our performing arts group - SuperStars - will be visiting a recording studio and are recording their own CD on Friday 14th March. Young Entrepreneur Of The Year! 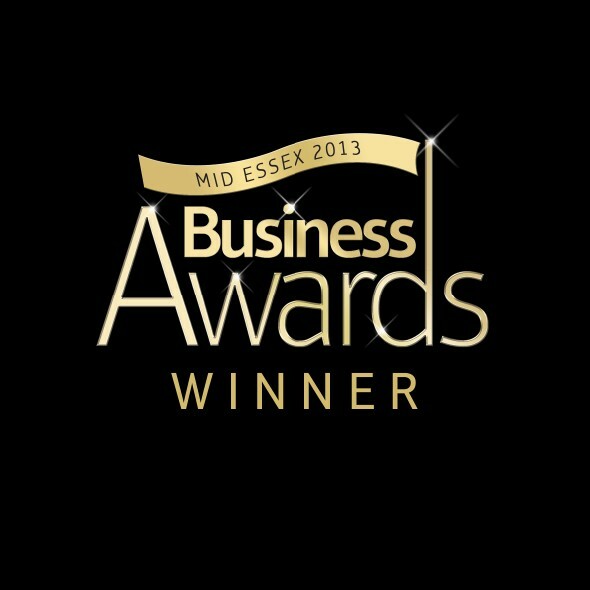 Charlie is Mid Essex Young Entrepreneur of The Year! We've just opened a new class on Wednesdays in South Woodham Ferrers. We still have some spaces available. Has your child got talent? 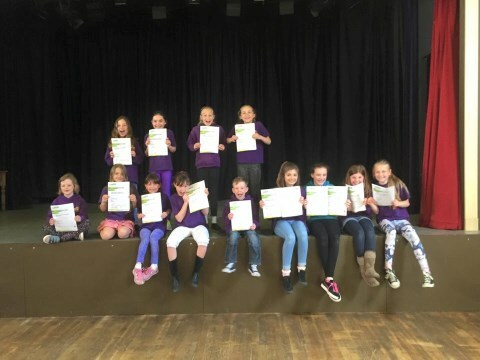 Our Performing Arts Group - Superstars - is going from strength to strength. Superstars is for children aged 11 - 18 who love Singing and Dancing. It takes place on a Friday evening from 6pm - 7pm at Great Leighs Village Hall. We were recently finalists in Braintree's Got Talent but there are many more performing opportunities including Chelmsford Has Got Talent, Chelmsford Music and Drama Festival, Recording and Album and much more. Get in touch now for more information 07527060574. Our 3 - 7 year olds will have the opportunity to perform in The Lion King during our Easter Workshop. 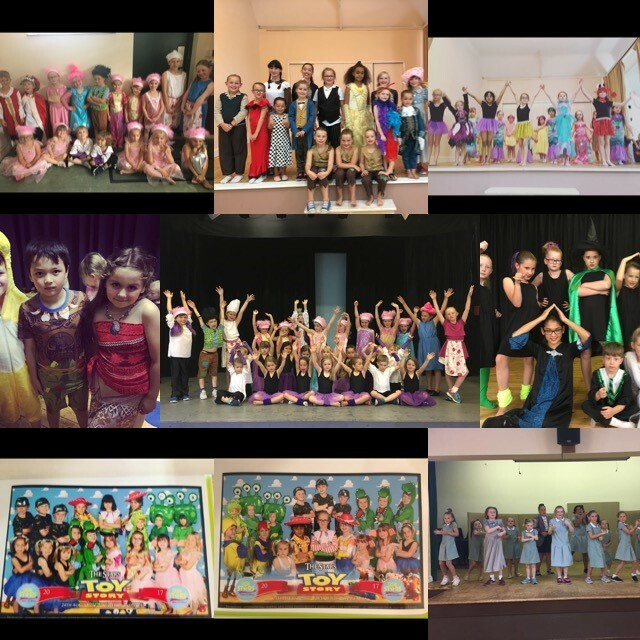 Join us for 5 fun filled mornings of acting, singing and dancing. At the end of the week the children will perform a production of The Lion King for family and friends to enjoy! Book early to avoid disappointment. We are now taking bookings for our Easter Workshops! Join us in the Easter Holidays for 5 fun filled days of acting, singing and dancing. At the end of the week we will perform Shrek The Musical with costumes for family and friends to enjoy, this workshop is suitable for children aged 6-16. Get in touch now to book a space. Enrolling for our New Term! We are now enrolling for our new term in January. Want to join a new class for the new year? Book a free trial for January now! We have just announced our Christmas Workshop for children aged 2-5. Children can come and spend a fun filled afternoon singing, acting and dancing with Melody Bear at Melody Bear's Christmas Party. This will take place on Tuesday 11th December from 1.00pm - 2.30pm the cost for the afternoon is £7.50, make sure you book as this is going to be very popular with our pre-school children.